The bedroom will be more interesting to view if you know how to decorate above a curved headboard. The curved headboard is often seen inside the traditional or classic bedroom decorating ideas. 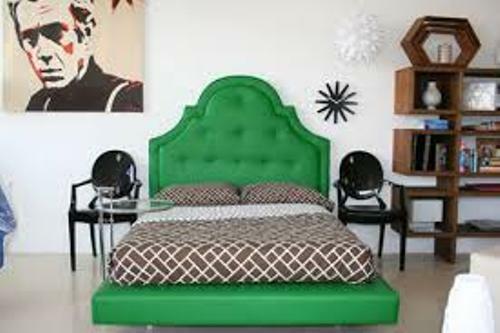 It is a bit difficult for you to make the wall above the curved headboard enticing since you do not know what to do. If you leave it blank, the rest of the bedroom decoration looks plain. Make the accent wall interesting with decorative pieces. However, you need to pick the appropriate one which will never evoke the busy design. Balance is considered as the important key when you decorate the blank wall above the curved headboard. 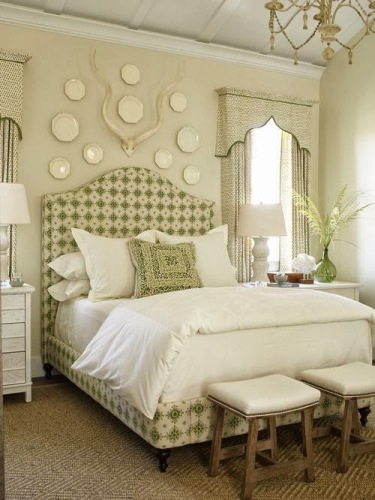 The wall decal is interesting to create an impressive look at the top of the curved headboard. You can choose the wall decal which can follow the curve of the headboard. If you want to create an imaginative look, you can attach the tree wall decal which rises from the curved headboard to the ceiling. Then add some star shaped wall decals at the ceiling. If you want to evoke the modern look, you can use the abstract wall decal. The angular artistic piece is nice to have inside the classic bedroom. You can hang it directly onto the accent wall above the curved headboard. You can pick the bright colored angular piece of art which can shares fresh and new energy in the bedroom. The next piece that you can set on above the headboard is the photo collage. 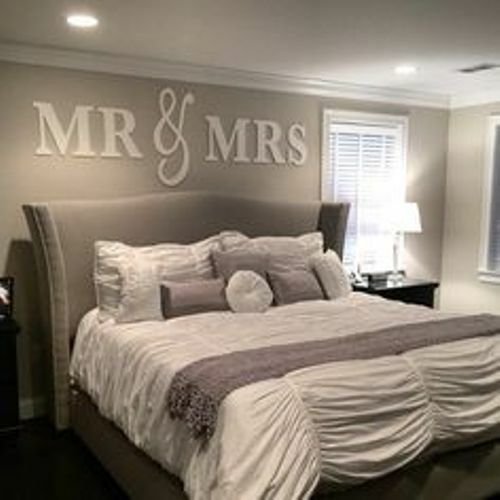 Use the large photos to decorate the half or quarter space above the curved headboard. You can use the circular frames to cover the photo collage. You can make the above area on the carved headboard more enticing by using an artwork. You can go to the nearest craft stores or antique stores in town to get the nice artwork. You can pick the traditional artwork which depicts the antique sculpture. Or you can set some interesting collections of china on the wall. If you want to express the personality or point of view, you can use the lettered quotes on the wall. You can install the wooden plants or lettered wall decals. Get another information on how to decorate a bedroom with white walls here. 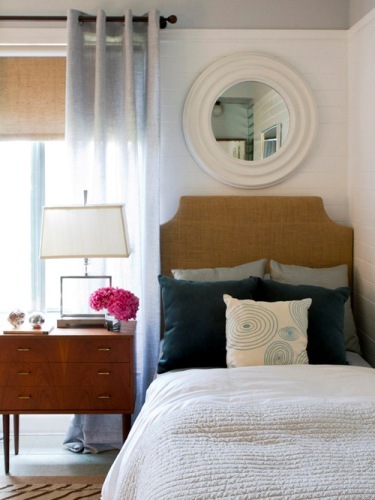 Do you have any more ideas on how to decorate above a curved headboard?